I've been fascinated by a concept of reaching down to what I've called the xero point - the event horizon of the human soul. Remove the physical manifestations, intellect, mental chatter, all ego, illusions and psychic crud, then look to see if you can find that point of origin of one's own life energy. My immediate interest in this can be traced back to my vision a few years ago of the "stuff" we carry around with us - the vision of light beings covered and lost within piles of crud, those manifestations of spiritual, mental and physical form that weigh us down. The vision distinguished those few who were clear of the encumbrances and shined their inner light brightly. They are the beings who have extended from the xero point in harmonic resonance and clarity of essence. Reaching xero point could be a reset, thus, a chance to experience pure essence and an opportunity to re-emerge cleansed of the useless crud that piles up during the course of our lives. I reached such a point, without effort, after trying on prior occasions. It was a subtle state, void of thought or sensation. I drifted, bathed in a powerful flowing light that emanated from an ordered reaction of golden plasma. Impulsively, outside of time, I asked, "Since I'm here, let me see God." I'm not sure why I asked because I knew that I was looking at the Source of All Things in my mind's eye - perhaps, I just wanted to make sure that I wasn't missing an opportunity. I was surprised by the immediate reply that was delivered by a bold, clairaudient voice - familiar, warm and friendly. "There is no God. You're It!" It came with a cosmic chuckle rather than reverence - I'dia seemed amused. Yet, the voice carried the truth that had been uncertain. I am of It and there is nothing profound "out there" that isn't "in here". The experience discerned both a realization of being and a knowing of mind. It's a passage in one's involution. Some seem to think that we shouldn't talk about it. The observation is difficult to describe as observation and description come from different dimensions of mind. I can't describe it from there, only from here, and the object is dependent upon the point of view from which it is observed. I've discussed before the limitations of language, but it's more problematic than that. By talking about it carelessly, we might obscure the path for others with embellishments from our own limitations and illusions. Yet, by describing it too cryptically, we cloak the experience in mysticism. So, though understanding that a realization can't be reached by discourse or comprehension, it seems reasonable to establish some common dialogue as an encouragement to 'others' for the benefit of All. Involution is a term, I've since learned, that Meher Baba invoked to describe the pathway to God-realization. He taught that the aim of all beings in creation and the very purpose of creation is the attainment of God-realization. A soul is God-realized when it has first traversed evolution, taking each successive form in creation until it achieves full consciousness in the human form. 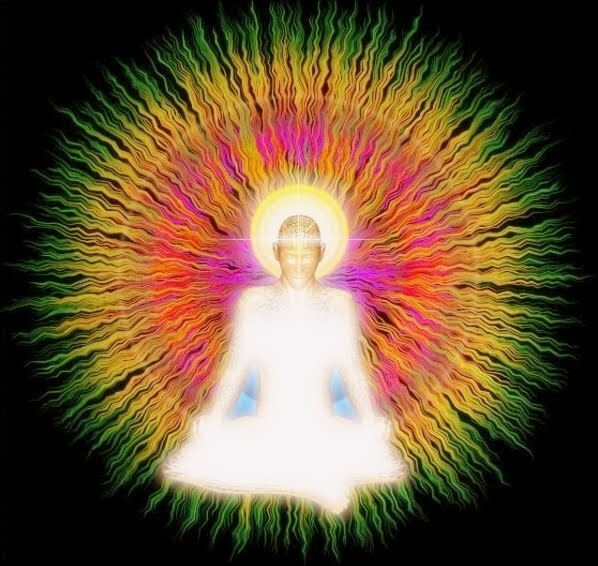 It then traverses the inner planes of consciousness, through the process of involution, to achieve consciousness of its true original identity as God. I might dispute the inherent hierarchy and linearity of the diagram above. At times, the mental world of the mind seems more distant from God-consciousness than the subtle world of energy. At least, I would suggest that the progression is not sequential or linear in every case. What is important is that the two, the subtle energy and the mind, must develop and integrate within the physical reality in order to realize the Godhead. "In [the] tradition of Advaita Vedanta, there is a very interesting summary statement, associated with Shankara, of devotion to the Divine: 'From the point of view of the body, I am Your servant. From the point of view of the mind, I am a part of You, a fraction within You. From the point of view of the Self, truly, I am You.' Any statement of equation with the Divine is authentic only from the "Point of View" of Ultimate Realization. Yet identified with the body, or, even more advanced, identified with the mind, subtly as Yogis are . . . from the point of view of such identification, the great statements are not true, the statement 'I am You', or, said another way, 'Thou art That', is not true. Identified with the body you are the servant of God, subordinate to the Divine. From the point of view of the mind, you are not the Divine. You are a part of the Great Unity, seeking Union with the Great Unity, or That Which is One. Therefore, previous to Ultimate Realization, the philosophy, the philosophical point of view, the presumption, must acknowledge the position you are in, acknowledge what you are identified with." It's interesting to me that I'm choosing to quote Adi Da as he in turn relates what others have said about such processes and experiences. I've found him to be maniacally egotistical and therefore difficult to study in depth (note that I'm unable to acknowledge him as "Avatar Adi Da"). However, there's now an inner smile as I read my own words, "I am the One." Is it ego? In fact, I sense ego coming up to trivialize the experience - my own ego is embarrassed to realize what I've known all along. I have a copy of one of Adi Da's books lying around somewhere, loaned to me by a friend - perhaps I'll take another look at it before returning it. My experience seemed to encompass my higher self (I'dia) and lower self (Lee). I'm guessing that the message was from the former to the later. There's further work to be done to integrate this fully. 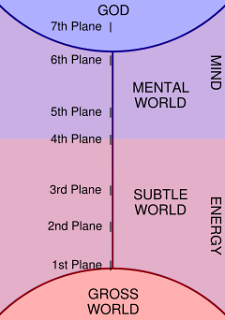 Again, it's tuning to the energy - at a very high vibration, in this case. How can I hold it? It's already slipping away to memory within consciousness though it is held more firmly in subconsciousness. So, "You're It" - the One, the Source, the energetic life force that creates and holds All. We create our own judgment day - every day - our own heaven or hell, right or wrong, up or down. Duality merely creates a contrast for distinction within free will - a product of our entertainment rather than anything fundamental to our being. This is the transcendental transformation of the soul via realization of Self. Now, manifest unencumbered by imposed limitations. Manifest with intention by attention to that which is worthwhile. A realization doesn't terminate with an epiphany. The life experience continues. The game has become more simply interesting and transparent. I am the One that I've been searching for.